Today I use my inner knowing to simply count on Grace. All my beauty comes from within. I am beauty shining from the inside out. Last weekend (10-01-16) at The Om Shoppe (theomshoppe.com) in Sarasota I had a session with Christine Marie. She and the Angels revealed some wonderful truths about me and my Spirit. I learned of my weaknesses and my strengths which made perfect sense to me. I have been on a close walk with my Holy Spirit for over 26 years and this powerful time of gentle intervention revealed some information I had never found in prayer or meditation. 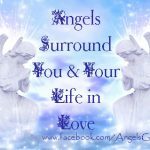 The power of the Angels is a source I am so blessed to have found. The Union it creates inside of you is hard to explain, but very fulfilling and comfortable. 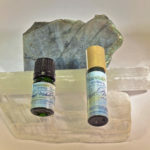 Christine Marie helped guide me with some stones and crystals for my natural ”grounding” which will aid in my balance and understanding. She also blended some essential oils for me which we named ”acceptance”. 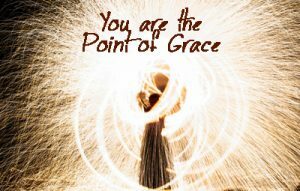 This is a concentration point which is helping me understand the fullness of Grace and the depth of Love available to us. Your Spirit life will be blessed with one of these sessions. 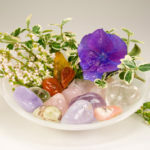 Christine Marie is a beautiful guide to help you find that ”internal gentle change” inside of you. I highly recommend a session with her, I am so happy to have tapped into this divine ”angel power”,I can feel the results already. 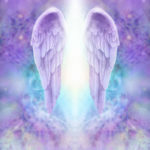 Have You or Your Life Been Touched by Angel Energy?